Welcome to the best debt settlement, debt negotiation, and tax debt relief affiliate program online. Here is an opportunity to earn in a variety of ways by referring people to get help for their unsecured debts (credit cards, personal loans, etc.) and/or tax debts. Depending on the niche of your website and marketing preferences, as a CuraDebt debt relief affiliate, you can promote a variety of ‘debt help’ related verticals and earn: Business, Commercial and Consumer Debt consolidation, Consumer Credit Counseling, Debt Consolidation, Debt Settlement, Debt Negotiation, Debt Relief, Tax Debt, and a Free Debt Help Quote. Earn $350-$500 per confirmed enrollment – debt or tax (no per lead payout). Read more about the pay per sale program. Earn $25 per debt lead (real time automatically phone verified) and receive a $100 bonus per signup. Read more about the pay per lead program. Earn $40-$50 per call related to debt relief. Read more about the pay per call program for debt. Earn $35 per tax lead (real time automatically phone verified) and receive a $100 bonus per signup. Read more about the pay per lead program for tax. Earn $55-$75 per call related to IRS or state tax debt relief. Read more about the pay per call program. Earn 10% from referring other affiliates. Read more about earning 10% from referring other successful affiliates. Join the CuraDebt debt relief or tax debt resolution affiliate program and get paid to help people get a solution to their debt problems. For every new client you refer who gets a free evaluation for debt relief or tax debt relief (by completing the high-converting multi-step lead form), and who enrolls in one of our debt or tax relief programs you earn a commission. Enrollment is defined as successfully makes their first full monthly payment on the program and is still active when the monthly reconciliation for the prior month’s affiliate commissions are done. Earn $25 per qualified saving estimate $10,000+ in debt lead who completes the real-time multi-step, high converting lead form on the CuraDebt website and confirms their phone number in real time via an automated process and is looking for help with their debts. In addition, you earn $100 per referral who successfully makes their first full monthly payment toward the program and is still active when the monthly reconciliation for the prior month’s affiliate commissions are done. You also earn 10% of what all affiliates you refer earn. After you sign up as a debt relief affiliate for the standard pay-per-signup program, you can apply under Promotions. Campaigns for the pay-per-lead debt consultation program following the instructions listed. Once approved, you will be provided with the URL to use for the pay-per-lead program. A valid lead is in a state where debt resolution services are offered, has $10,000 or more of unsecured debts, and is truly interested in getting a free consultation to resolve their unsecured debts as well as who immediately confirms his/her phone number via an automated real time system. For leads who do not confirm their phone number in real time, you will be paid on a per-sale basis if they enroll. Place a unique toll-free number on your website (or marketing materials) and get paid $40 per valid call that lasts over 2 minutes. For calls lasting over 20 minutes, get paid $50 per valid call. A valid call is during business hours in states we operate in, where the caller presses 1 that he/she has $10,000 or more of unsecured debts, and 1 to confirm he/she can afford $250 or more monthly payment. See program details when you apply. To sign up for the pay-per-call debt relief affiliate program, you will first need an affiliate account with Share-a-Sale or Commission Junction and then apply for approval to receive a free toll free number. Earn $35 per qualified savings estimate lead and 10% of the commissions of all referred affiliates. While we feel that for quality traffic and leads, you will earn more with the pay-per-signup plan, we also have a pay per lead program for tax debt relief consultations. After you sign up as an affiliate, you can apply under Promotions Campaigns for the pay-per-lead tax consultation program following the instructions listed. 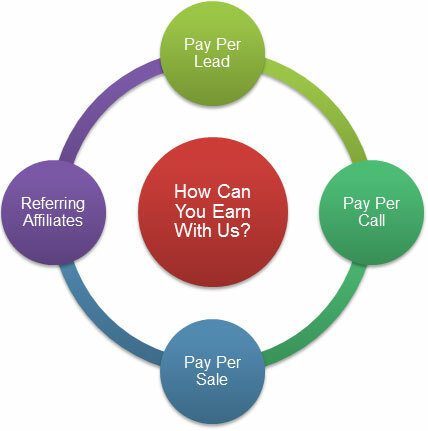 Once approved, you earn $35 per valid lead� as well as 10% of the commissions all the affiliates you refer. In addition to the pay per lead payment for valid leads, you also receive $100 per successful enrollment from your leads. A valid lead is in a state where tax resolution services are offered, has $10,000 or more of state or IRS tax debt, and is truly interested in getting a free consultation to resolve their tax debts as well as who immediately confirms his/her phone number via an automated real time system. For leads who do not confirm their phone number in real time, you will be paid on a per-sale basis if they enroll. Place a unique toll-free number on your website (or marketing materials) and get paid $55 per valid call that lasts over 2 minutes. For calls lasting over 20 minutes, get paid $75 per valid call. Click here to apply for the CuraDebt Affiliate Program with ShareASale. A valid call is during business hours in states we operate in, where the caller presses 2 that he/she has $10,000 or more of tax debts and 1 to confirm he/she have a source of income or funds to afford monthly payment. See program details when you apply. To sign up for the pay-per-call debt relief affiliate program, you will first an affiliate account with Share-a-Sale or Commission Junction and then apply for approval to receive a free toll free number. Are you active in affiliate forums? Do you know other webmasters who have a financial related website that attracts visitors who may be in need of debt relief? Are you in contact with CPAs who know people needing financial help? Do you have an organization of people looking to supplement their income as a CuraDebt debt relief affiliate? If so, then refer them and earn! Let’s assume you have referred 10 affiliates. You earn 10% of their referral commissions every month, regardless of the number of affiliates you refer. For any business, lead, joint venture, etc. questions, please contact us with your site, traffic, phone number, and concept of how we can work together – we are committed to do all we can to make it work mutually. Debt Management, Debt Consolidation, Credit Cards, Loans, Or Bankruptcy Referrals? Do you currently refer people for solutions with loans, debt consolidation, debt management, bankruptcy, payday loans, or similar? Add an additional source of income for you and an additional option for your site’s visitors to get a free debt analysis or savings estimate as well as a free tax resolution consultation. Since our consultation form only takes a minute to complete and is only a request for a completely free consultation, a high ratio of people or companies who visit our landing pages fill out the free consultation form. Because the fees of the programs offered are some of the lowest in the industry and we pride ourselves on the highest level service, this means you can potentially earn a lot of money for referring even a moderate amount of targeted traffic to our site. The key to success for a debt relief affiliate that is making the most money is to communicate to the people or small business owners why they should get a free phone consultation from CuraDebt. You are partnering with a top tier company helping people and small business owners since the year 2000. Individual Americans and companies nationwide are drowning in debt like never before in our nation’s history. Now is the time for you to profit from the nation’s financial woes while at the same time helping people improve their situation. With over 60 million consumers running a large balance on their cards, bankruptcy reforms making it harder to file, and many credit card companies (Bank of America, Citibank, etc.) set to raise their minimum payment requirements from 2 to 4%, you stand to make a lot of money. For tax debt relief, there is a massive need as the IRS and State tax agencies seek new revenue and pursue individuals and small business owners more than ever before. Unlike debt, it is practically impossible to escape tax debt, which creates a greater urgency to get it solved as quickly as possible. The time is now to become a CuraDebt debt relief affiliate. How Can An Affiliate Track His/Her Referrals? For pay per call affiliates, you get 24/7 stats in your affiliate center in CJ or ShareASale. For pay-per-lead affiliates, you get 24/7 stats in your affiliate account as well. For pay-per-sale affiliates, marketing will send a report as sales are pending. For custom pay-per-call campaigns, marketing can also provide reports of calls. Please note that because of the nature of the programs individuals and small business are referred to, most take from 3 days to 4 weeks to start. The most profitable affiliates today took from 30 to 60 days to fill the “pipeline” with pending referrals. Since 2000, commissions have been paid monthly for the prior month’s referrals for the in-house pay per sale and pay-per-lead debt relief affiliate programs. The target date is between the 15th and 21st to issue payments via PayPal, check, Moneybookers or Payoneer for the prior month’s commissions. With the affiliate networks Shareasale and Commission Junction, your commissions are paid automatically through the network on their regular pay schedules. We take care of our debt relief affiliates. How Can An Affiliate Make Sure That CuraDebt Will Pay Him/Her? CuraDebt has been in the counseling business nationwide since 2000. We are one of the leading debt relief companies in the United States. We have been able to achieve an excellent level of customer satisfaction. The company is a proud member of the AFCC, NetCheck, the Online Business Bureau and a variety of other organizations. We also encourage you to read some of the Customer Lobby Testimonials about the company to hear with others who have had actual experiences with CuraDebt. Make Money From Any Kind Of Website Or Even If You Do Not Have A Website. No matter what the demographics of your site, our service may appeal to your visitors. If you are a current client or just want to refer friends and family, sign up and we will show you how to do that too.